I’d like to share an article published in the Revista de la Universidad (UNAM) by the writer and critic Eduardo R. Blackaller. I have met many “fast” critics, the majority quickly interpret and in one page determine their verdict. Blackaller took years writing this in-depth article. Numerous were the sessions and long were the conversations that culminated in this, one of the most in-depth articles written on the work of Ceniceros. The studio of Ceniceros evoques John Cage; the instruments that surround the canvases seem like mediums, waiting for a provocation: whips, prepared brushes, mechanical tools, brushes of different provenance, airbrushes, construction tools, automotive receptacles, enormous spatulas, pigment cans and architect paper rolls, other tools without a name, objects that when brought into action uncover their most unexplored possibilities: the possibility of transfiguration that constitutes the ontological essence of the artistic expression and that manifests when creative activity transforms the empty course of time into time that is filled with living work, fire that fuels the matter. This is something similar to language, which in metaphors finds resonance. Poems awake from regular words, from an apparent indifference to language, using words that are combined in different ways to rescue poetry, there where unsuspecting springs flow. This is Ceniceros: his painting triumphs over the simplicity of the media, breaking the rigid shapes that daily convention gives to things, and shaping art’s victory thru the unveiling of the invisible. The conception of the medium in function of the language. This formula encapsules, from the continuity of a conception that goes from Magnasco and arrives with Kokoshka and Vlamink to the connectivity of Ceniceros with the current art alternatives. Medium and language rest in the base of the artistic focus and its meaning manifests itself thru the peeling of art’s exterior layer and by penetrating into the essence of its technique and the resources that are derived from it, ripping away the propitious subterfuge. Diego Rivera, would first start with drawing and would then fill in with color. Because of the anecdotal character of his work as well as its artisanal mastery, he did not consider the “spaces” as integral elements of his composition; he covered the spaces thru the predomination of “design”, as Boticcelli, Gaugin or Matisse did. Orozco imposed, simultaneously, line and color, because sarcasm and aggression left no room for the enjoyment of minutia. In Goya and Van Gogh the same aesthetic approximation is predominant. Even though Siqueiros utilizes this second method, the employment of plastic materials permit him the modification of drawing as well as the improvement of the finish, ultimately the signature. Yet is is clear that in the accumulation of layers and layers of material, spontaneity becomes at risk and the freshness and nervousness of the original drawing could disappear. Nonetheless, Siqueiros’ tendency to geometrizice, and the use in some cases of air pistol templates, would give his work a great robustness. Furthermore, the use of acrylics as well as other materials allowed him to work with larger quantities of paste which gave his work a sculptural volume; because of this the spaces had greater importance and are incorporated into the compositions of his work. The common point of departure with the above mentioned Masters is the design, while their differences are born from their color application procedures, how they integrate spaces left by their drawing, and how they suggest volume and its treatment, be it dynamic or static, to the composition that is derived from the original design. In other words, composition is subordinate to design. As design appears: first, preceding color, and second, intertwined with it. In relation to Tamayo and Cuevas I could not say if their work is participatory of certain limitations or their mediums have been developed in a unilateral fashion. Although, both things are exact, artistic creation isn’t objectively appreciated solely from technique. (as such, and thru a musical example, Chopin offers an integral sound of a highly elevated aesthetic meaning). So does Tamayo – who has elevated his language from the basis of color and the simplification of the figure -and Cuevas- who tears the autonomous value of drawing – they both achieve a coherent production. It is notorious that Cuevas does not suppress the anecdote, though he moves it to the field of the personal experience: “Before I would say that for me, to draw was like writing a diary. I was mistaken. The truth is that when I draw or paint I am narrating my memories”. ** In general, Tamayo and Cuevas subordinate composition to design. However the reduction of their mediums and the resources that they practice drove them to glimpse the value of the spaces. Such is the vision that Tamayo offers in some of his murals. In Mexico painting, logically and historically, has gone thru this path: design-composition, color, space, form. The plastic language, with or without anecdotal or ideological servility, is defined by drawing or by color. In Cuevas drawing is the language. I have wanted to underline the importance of this group of painters as they embody the essence of the direction in the technical evolution of painting and as such constitute the blueprint that outlines the essential changes in the development of its internal logic. One does not negate the other, but overcomes it. Inaugural and premonitory, the creation of Ceniceros is inserted in this succession and places itself in its cusp. 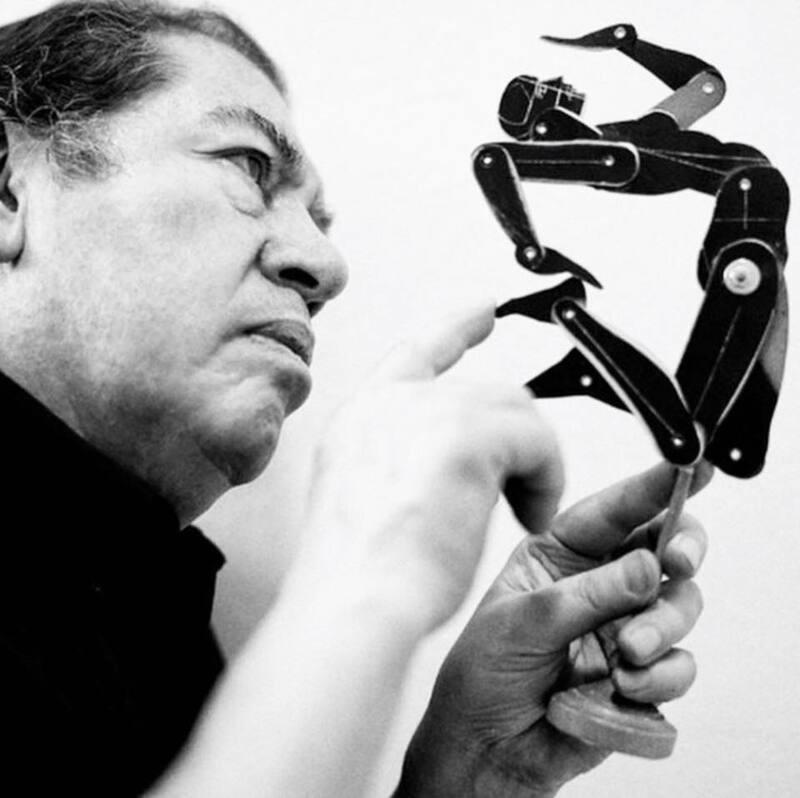 His artistic focus and technique is the result of the development seen in Mexican painting, and not of the eclectic interpolation of foreign elements, of value and dignity within their own mediums, by some other parties, as has been assimilated, but of a mechanical translation that could be grotesque. I think about the international character of contemporary art and at the same time its inevitable connection with our own national currents, that are fed thru conduits that are invisible and remote from authentic creation. Art’s reality is the world unveiled: the richness of what is concrete and the depth of its essence, its intensity is derived from the character of the work, that is a receptacle of a particular human activity and a mirror of its times. Those moments reach fullness thru the development of the artistic language, a process of efforts, tests and tries in which the opposition between the mediums and the ends disappears with the artist transforming the activity of creation as the principal and vital activity, the primary condition of existence. Then, the artistic creation radiates possibilities because it doesn’t manifest as absolute. It returns to the small and big problems of mankind and resolves them from the relativity of its being and from the relativity of a determined historical context: what is exclusive to style is a special symbiosis between what is old and what is new, between the known and the unknown, in any other way it would not be a step in the evolution of creativity. The multiplicity of variations that each work suggests is made from recurrences and innovation. What is concrete in the arts is very different from what is concrete in nature. The later is the result of blind forces; the first, a product of an act of consciousness: art is mankind adding values to nature, as is the profound conjecture of Bacon. Because of this, a language that is reiterated turns boring, it strips art from its ineffability and finishes in the aseptic passionless academism: emptiness. Erected in accordance with the laws of beauty (the renewal of language is a law of art; beauty is a relation and a process), inhabited by the objective fiction of existence, vehemently denouncing, sensual in its terrigenous metaphor complementary of women, perturbing in the endless surprises of life and death, violent in the beaten geography, tense in the radical impersonalization of mankind, poetic in eroticism, organized by a geometry that overlays layers and shadows, the universe of Ceniceros’ main characteristic is composition. We are before a compact, intense, integral plastic world, built around a “solid knowledge of structure”, as observed by the critic Jorge Juan Crespo de la Serna. Ceniceros, is he conscious that his work has this features, as pointed and highlighted from different points of view by different art critics? Nothing better than the words of the artist: “I understand composition as the form by which nature provided spaces in relation to volume and movement. Here also enters time, but that is another problem. In the human sphere, the exact and cold model is found in industrial design, that considers not only the spaces in relation to volume and movement, but also the tolerance of the materials. In painting, composition is intuitively free, not subject to needs or practical interests. What is astonishing is that when the work is authentic, the work answers to the classic constants. For instance, Fibonacci’s series and its variables. Painting creates a different reality, but the nexus with life isn’t lost. The true artist does not repeat nature, which only offers the raw material, but strips from it what is unnecessary and adds what is needed. This is dependent on the capacity to plastically translate by means of a creative language.”** Effectively, these concepts clarify the structural meaning of composition and something even more important: its vital origin, its link to the human condition, that negates fleeting partialities, even thru the same partialities, the total substance of what is invisible. Painting reveals the world thru its links to mankind. But links lack a sensible reality, they participate in the image and add to things that we call ineffable, what is incapable of being expressed or described in words. *”if art was a complete imitation of the object, it would lose its status of symbol” (Claude Levi-Strauss, Art, Language, ethnology 1968). ** in the words of Ceniceros. Much as if we were to stop in composition’s flow to the core of plastic language, or in the subordinated character of drawing, the color and the space, the conclusion that is derived from both facts is the same: a sense of totality presides the focus of Ceniceros. I would like to be a bit more precise about this affirmation (limiting myself to four areas purely technical about the conception of Ceniceros): First, the opposition between form and content is abolished. Although I will return to this point, for now I’d like to express the following: the discussion about the preeminence of content over form, or its contrary, so alive in Mexico because of the peculiarity of our historical painting development, reflected an incorrect approach between art and politics, instead of a concern to resolve problems that are fundamental to art. In the name of intelligence and principles, in the name of the “great thaumaturgy of the spirit”, Cesar Vallejo clarified the mutilated ideology of Diego Rivera, when he diluted and prostituted the “political role of the artist converting it into a cheap didactic medium”. * Not the least precarious was the converse position. Ceniceros isn’t affected by this dilemma: A dialectic conjunction of the opposites exist in his painting: composition is both form and content. Second, his is a method propitious towards the organic unity of the work, given that its aspects aren’t dispersed, nor artificially juxtaposed, neither in pretense of having autonomous values. Third, the conversion of composition into the basic symptom of plastic expression permits an intense language, not necessarily figurative, and neither an abstract and arbitrary game of forms and relations. We are very far from the conclusions obtained by Kandinsky from his analysis of Claude Monet’s painting “Heap of Hay”: as he affirmed that this painting was “lacking an object”, to justify the possibility of the transformation of the forms and color in the elements of plastic language. We are also far from Mondrian, who, as he absolutized the abstract geometry of the relations, arrived to the identification of composition and language and image: and image with an architectural game of forms. The origins of such attitudes already are in the registry of history: mysticism and metaphysics are the cryptical figure of anecdote. The hermeticism of the character of such art, decorative in a religious-ritualistic sort of sense (mystery as estrangement), became more evident in abstract painting that followed, and was stripped away from the freshness of Kandinsky and Mondrian and of the cubist masters, whom were also inspired by philosophical and physics theories, which owned a discredit that did not reach the artistic manifestations that these inspired. In front of such conpeptions that searched the non-plastic justification of a non-figurative expression, Ceniceros corrals the spell of language in the prodigy of spontaneity. There is a certain connection with the primitive forms, given that its essence is what is vital, life giving, not what comes from reason or is machine made. The nervous graphic created by the ant, the curve of the albatros, the flexibility of the leopard, the dynamic copulation of an insect, the weightless underwater flow, the petreus cut of a rock, the texture of an oyster, the composition of a cactus, the bestiary of terraform, an infant’s trace in the sand: the babbling of communication, the timeless world of Homer; the seduction that we find there is the certainty of something lost. The abstract expression of Ceniceros is a copernican turn: its root isn’t in the gaseous environment of philosophy, neither in the empty conscience of mass manipulation, but in the plastic transmutation of life’s primal alphabet. His language is that of transfiguration. We arrive at the fourth element in Ceniceros’ work: a language built on top of composition implies naturally all plastic expressions. Better said, its congruency is rooted in the perfection that is derived from a complete all-level mastery, from minimal design to the dynamic multiplicity of the forms. Ceniceros’ practice is a reconciliation: the extremes touch each other, not to diminish their discrepancies, but to develop them. The contradiction in the artistic currents never is antagonistic. Art, if it is devoid of its own history, possesses an internal logic that presides its development. As such, the often late acceptance of some transcendental currents bears fruit, among other causes, to the division of art in exclusive irreductible zones. Two equally pernicious perversions unfold from this: from one side the belief of an aspect of art as unique in its focus of truth (an example of this in painting is the either-or between easel and mural); from the other side, the repudiation of any manifestation based on different historical, moral, political or artistic coordinates. Behind the so-called exotic cultures there is the existence of true aesthetic systems, diversity of forms, both popular and professional, that are charged by the world’s artistic assimilation. A memorable conquest by modern and aesthetic critics is the acknowledgement of the simultaneousness of different artistic systems, propitiated by the historical plurality and the complexity of the relations of man with the world. The endeavor of art was ahead of the historical analysis: the exaltation of African art by Picasso, the Javanese musical scales by Debussy refuted the euro-centric conception. In the same way, Ceniceros’ focus demonstrates the inconsistency between the opposition of the large scale mural painting and the work of smaller format, opposition which became focal in a large stage of Mexican painting and one that in some ways continues to these days. Finally: the change in language finds its corollary in the transformation of its media. All the periods of artistic flowering note this fact. The impersonal character and the promiscuity with different tendencies belong to a production that is lacking in style, or to academia. The inquiries that are thrown break the consecrated course of things and shake its foundations. Beethoven and its enormous orquesta; Debussy and his repudiation of the do, re, mi, fa, sol, la, si do; Stockhausen and his incredible vocal technique; John Cage and his improbable challenge. It is as though the internal light of man needed to force matter to express freely. Because of this, few artists accept the violation of the intimacy, the rapture of creation. Thru hours at a time, and even years, I have observed the work of Ceniceros, many times. I believe that my examination of his method and of the technical particularities of his work would have been impossible without these privileged moments, from which I pick up as well what I want to underline and I had expressed at the beginning: The studio of Ceniceros is a technical subversion laboratory, its activity is consubstantial with the movement of mediums of expression: whips, prepared brushes, mechanical tools, brushes of different provenance, airbrushes, construction tools, automotive receptacles, enormous spatulas, pigment cans and architect paper rolls, other tools without a name, objects that when brought into action uncover the most unexplored possibilities of creation. By his media, the artist realizes the dis-objectivization of the world, transfers essential strength to the work, humanizes nature and sees a new reality arise: the substantive reality concentrated in art, opposed to that “real” reality, and in some way unreal, which constitutes a satisfied emptiness, the apotheosis of man, the personalization of objects, and the essence and the result of collective persuasion and the manipulation of interests: Hegel’s requiem: all that is irrational is unreal. Furthermore. In artistic creation, the technical media, cold life-devoid objects, become alive and animated. However, its ontological sense, the possibility of intervention as generator tools rests in man, in the richness of mans’ active links to the world. By itself, technique, the media and the resources, resolve nothing. Create nothing. As in all the fields of social creation, art is the driving agent or hope -to be said with Nazim Hikmet-, man is hope. Dis-objectivized world, Ceniceros’ painting is a revelation of man: the invisible in things. Spirit that is a relation. *Revista Siempre! No. 982 César Vallejo, Los artistas ante la política.